To be a Christian Steward . . .
​The prophet Isaiah perhaps more than any other of the prophets anticipated the coming of Christ. He foresaw details about the coming of the Messiah which are uncanny in their accuracy. It is almost as if Isaiah foresaw the glory of Christ’s Epiphany. “Rise up in splendor…Your light has come…Then shall you be radiant at what you see.” The light of Christ has shone and is shining upon us. However, we are to do more than just bask in it. We are to be “radiant at what we see.” This is the call to stewardship; we are to take that light, that Good News, and we are to share it and spread it. Biblical scholars are of the opinion that St. Paul wrote his letter to the Ephesians (from which our Second Reading is drawn) during a time when he was under house arrest in Rome. Note that he was not in prison. At that time “house arrest” meant you could move easily around your house during the day under the watchful eyes of soldiers, but could not leave. At night you were chained to a soldier who slept next to you. Paul speaks of being a steward of God’s grace. Holy Spirit Parish is a stewardship community, and we support one another to fulfill our calls to be disciples of Christ. According to the USCCB, “Stewardship is an expression of discipleship with the power to change how we understand and live out our lives. Disciples who practice stewardship recognize God as the origin of life, giver of freedom” USCCB, Stewardship: A Disciple’s Response. Stewardship is more than just what we believe, it is living our faith out of deep love for the Lord. “Beginning in conversion, change of heart and mind, this commitment is expressed not in a single action, nor even a number of actions, over a period of time but in an entire way of life. It means committing oneself to the Lord” (Stewardship: A Disciple’s Response). Our parish community recognizes that God has given each of His children specific gifts, unique to each of us, and we encourage our parishioners to give not just 10%, but everything we have and our whole life, with a full heart, to God. At Holy Spirit, we pray for and encourage one another to share our gifts of time, talent and treasure in whatever way God has called us to, individually and as a faith community. We conduct a parish-wide annual renewal of commitment to the sharing of our gifts, but we encourage that if God is calling you today to give, that you respond today. To learn more about the various ministries at our parish, please see Our Ministries. The Holy Spirit Outreach Committee supports many worthy organizations on behalf of Holy Spirit Parishioners. None is more worthy than Catholic Charities, receiving over $30,000 annually for their Food Pantry, Rural Outreach and Special Needs for Individuals programs. 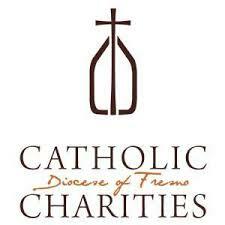 Holy Spirit Parish Outreach refers requests for PG&E assistance to Catholic Charities in order to ensure that individual's needs are met quickly and effectively. With sites in Fresno, Bakersfield, and Merced, Catholic Charities serves the needs of those in crisis throughout our valley. They are the first responders in helping our neighbors with food, clothing, and other necessities regardless of age, race, or beliefs. Catholic Charities is guided by their mission: "Respecting the presence of God among us, we serve, advocate, and empower those in need". The Parish Outreach Committee would like to express our most sincere thanks and appreciation to all Holy Spirit parishioners for your generous donations throughout the year. Thank you! St. Agnes Holy Cross Center for Women in downtown Fresno serves as a refuge and learning center for homeless and low income women and children. Operated by St. Agnes Medical Center, the center provides daytime shelter, counseling and referral services, spiritual support, education and skills training, clothing, laundry and shower facilities, and social activities. In addition, the center offers a six-week summer program for 60 children and teens. Women seeking respite from the streets can get a warm shower, wash clothing and enjoy social interaction. Each day, Holy Cross Center provides services for an average of 131 women and 17 children. In a typical month, the center provides more than 329 articles of clothing, 221 diapers, 558 showers, and 293 loads of laundry! Thanks to your generous support, your Parish Outreach committee provides St. Agnes Holy Cross Center with annual assistance for this important work. Please continue to pray for the homeless and those less fortunate. On behalf of Holy Spirit parishioners, your Parish Outreach Committee recently made an annual donation of $5,500 to Habitat for Humanity. The donation will support the Sims family, which was selected for Habitat’s new three house subdivision that will start in February just west of 99 between Shaw and Gettysburg. This deserving family of 7 includes William, his wife Janie and their 5 young children. They are currently living in a 2-bedroom apartment and their living space is very small and crowded. William is a full time employee of the Fresno Rescue Mission, which makes this family's selection even more deserving since William’s work is dedicated to helping other people during a difficult time in their life. The Outreach Committee presented a check to Matthew Grundy, CEO of Habitat Fresno, who said: Without donations like the one from Holy Spirit, we would not be able to continue to make the American Dream come true for hard working families in need in our local community. THANK YOU for the continued support and allowing us to provide strength, stability, and self-reliance for people like the Sims family! The Holy Spirit Parish Outreach Committee provides ongoing support to the St. Vincent de Paul group at Our Lady of Guadalupe, sister parish in Bakersfield. Rosalie Martinez, President, reports that their group feeds 100 homeless individuals each month at MLK Park in East Bakersfield, which is very close to their church. The volunteers strive to see Christ in every homeless person that they serve. In addition, meals are provided to over 100 needy families during Thanksgiving, Christmas, and Easter. On behalf of the St. Vincent de Paul group at Our Lady of Guadalupe, Rosalie would like to say thank you to all Holy Spirit parishioners for your support of their ministry. These gifts mean so much to those who are in such great need of assistance. Please continue to pray for those less fortunate in our Valley. The October 13 & 14 Parish Outreach Basket in Hand collection will be dedicated to Habitat for Humanity. Habitat’s mission is to share the love of God by bringing people together to build homes, communities, and hope. 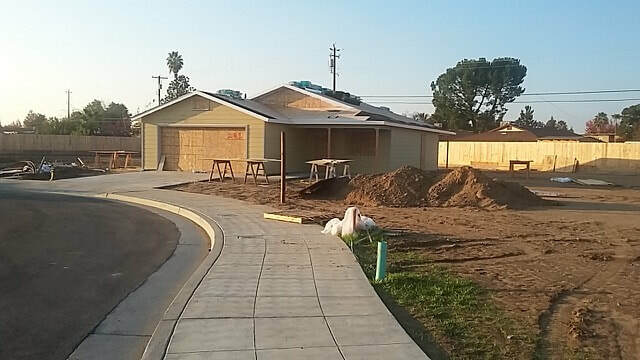 They have recently completed a 10 home neighborhood in nearby Rialto Ranch, Clovis. These homes are located in the Clovis Unified School District where children of owners will track to Buchanan High, a wonderful opportunity for these families. 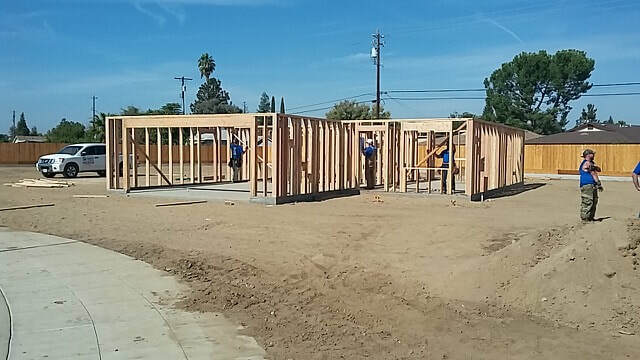 Habitat is continuing its partnership with the City of Clovis, completing three homes in the Clovis Stanford Addition. This infill project will help complete existing neighborhoods and are scheduled to be completed this winter. "We don’t give homes to families. We build homes with families. So in a sense, we’re not giving handouts, but hand ups” said Matthew Grundy, Executive Director of Habitat for Humanity of Fresno County. Thank you for your continued generosity and prayers for those in need in our valley, including those without access to safe and affordable housing. The Pinedale area, a very short drive from Holy Spirit Church, has many families that face financial challenges on a day to day basis. In addition to assisting individuals that live in Pinedale with their needs, your Parish Outreach Committee provides financial support to organizations such as Pinedale Good Neighbor Food Pantry totaling over $9,000 annually. USDA commodities are available to families twice per month. In addition, Holy Spirit parishioners generous donations help ensure that all Pinedale children have school uniforms and access to hot lunches every day. As a result, they have the same opportunities to excel in school as children in more privileged areas. Thank you for your continued support of those less fortunate, especially those so close by in our local community. St. Martha’s Pantry was established by OLPH in 2003 to serve the Clovis community and surrounding area by providing food to the hungry. Families can qualify for one distribution per month, which provides a variety of staples designed to meet their basic needs for about one week. They also provide special packages for emergencies and for the homeless, as well as delivery of food to migrant worker families in rural communities. In June, 2018, 238 families totaling 633 people were served by the dedicated volunteers of St. Martha’s Pantry, which is highly organized and well managed. St. Martha’s Feast Day is July 29 and aptly she is the patron saint of homemakers, servants and cooks. Through the generous support of Holy Spirit Parishioners, your Outreach Committee has directed donations totaling $13,000 to this worthy organization over the past 12 months. Thank you for your ongoing assistance and please continue to pray for our neighbors in need. The May 13th Parish Outreach basket in hand collection is dedicated to Get On The Bus in honor of Mother’s Day. Get On The Bus is a program of The Center for Restorative Justice Works, a non-profit organization that unites children and families separated by the consequences of crime. An annual event, Get On The Bus offers free transportation for the children and their caregivers to the prison. Each child is provided a travel bag, a photo with their parent, and meals for the day. On the trip home, a teddy bear with a letter from their parent and post-event counseling. Regular parental visits are essential to the welfare of children, incarcerated men and women, and the society as a whole. Children who have regular parent visits demonstrate better emotional and social adjustment, as well as a lower degree of juvenile delinquency. Their parents demonstrate lower rates of recidivism and higher rates of family reunification upon release. The Holy Spirit Parish Outreach Committee would like to express our thanks for your continued prayers and support for those in need, including the children left behind that become the silent victims of crime. Each day at the Ronald McDonald House at Valley Childrens Hospital we get the blessing of giving 18 families hope. They are able to stay at our house for as long as they need while their children are receiving treatment. We provide rest, nourishment, a listening ear, and most of all, a safe haven for them so they are able to be close to their loved ones during this difficult time. We believe that when a child is hospitalized, the love and support of family is as powerful as the strongest medicine prescribed. Thank you for helping us keep our families close at a time when they need it most. It is greatly appreciated and you have made a significant impact on our organization. On behalf of Holy Spirit parishioners, your Parish Outreach Committee provides monthly support to Ronald McDonald House Charities of the Central Valley. Thank you for your continued generosity for those in need. No one likes to wear their poverty, but for many children in our area their parents can’t afford even the most basic items of school apparel. Operation School Bell, a program administered by Assistance League of Fresno, provides over 3,800 Fresno County school children with new school clothes, allowing them to arrive in the classroom better prepared to learn and enhancing their chance to succeed. Education is the best defense against the problems of poverty, illiteracy, drug abuse and crime and Operation School Bell helps children get to and remain in the classroom with a foundation for learning. On behalf of all Holy Spirit parishioners, your Parish Outreach Committee provides annual support for this worthy cause. Thank you for your continued generosity and please continue to keep those less fortunate in your prayers. Poverello House in downtown Fresno works to enrich the lives and spirits of those in need by providing meals, social services and temporary shelter. * The Pov serves three hot meals 365 days a year, up to 1,600 meals a day. Meals are served in the Dayroom, a safe, warm or cool place for clients to eat their meals and receive social services. * The Holy Cross Clinic provides free medical and dental services. * The shelter provided by Poverello House is the bridge between homelessness and housing that their clients need to be successful in securing permanent housing. On behalf of Holy Spirit parishioners, your Parish Outreach Committee provides an annual donation to Poverello House to support the crucial work they do in our community. Thank you for your continued generosity and prayers for those less fortunate. In addition to providing direct aid to families in need, the Parish Outreach Committee supports worthy organizations on behalf of Holy Spirit parishioners. None is more worthy than Catholic Charities, receiving over $30,000 annually for their Food Pantry, Rural Outreach and Special needs for Individuals programs. With sites in Fresno, Bakersfield, and Merced, Catholic Charities serves the needs of those in crisis throughout our valley. They are the first responders in helping our neighbors with food, clothing and other necessities regardless of age, race, or beliefs and the work is never ending with over 140,000 clients served last year. The average family seeking assistance makes less than $22,000 annually and lives from paycheck to paycheck while 45% have children at home. Catholic Charities is guided by their mission: “Respecting the presence of God among us, we serve, advocate, and empower those in need”. Holy Spirit Church recently lost a true servant and friend, Mike Maxwell, who passed away unexpectedly on October 19th. Mike was a pillar of the Holy Spirit Parish Outreach Committee for 16 years and he worked tirelessly to help those in need. Although Mike was an advocate for many worthy organizations, he kept a special place in his heart for the Holy Cross Center for Women. In order to honor Mike's example of selfless service to others, your Outreach Committee is making a special donation to Holy Cross Center for Women in Mike's name. Although Mike's shoes can never be filled, we will faithfully continue to share our blessings with those less fortunate on behalf of all Holy Spirit parishioners. Please keep Mike Maxwell and his family in your thoughts and prayers. As always, thank you for your generous support for those in need. The Parish Outreach Basket in Hand collection on September 8th and 9th will be dedicated to Habitat for Humanity once again this year. Last year, Holy Spirit parishioners assisted the Gonzalez family to realize the dream of homeownership in the first home built in the new 10 home Rialto Ranch Subdivision in Clovis. The Gonzalez home is now finished and they are currently moving in with great joy and sincere gratitude. Our 2017 collection will provide support to the Karapetyan family, immigrants from Armenia with a young son and a baby on the way. They are so thankful for the opportunity to build their own home and raise their family in the Clovis School District. Their new home is up next for groundbreaking at Rialto Ranch. To qualify for a Habitat for Humanity home, a family must demonstrate need, donate 500 hours of sweat equity, and pay a no-profit, zero interest loan. By helping families with affordable housing solutions, Habitat Fresno offers a hand up, not a handout. Thank you for your continued generosity and please pray for families affected by poverty and homelessness. ​For 30 years, St. Agnes Holy Cross Center for Women in downtown Fresno has served as a refuge for women and children. Operated by St. Agnes Medical Center, the center provides daytime shelter, counseling and referral services, education and skills training, clothing, laundry and shower facilities, and social activities. In addition, the center offers summer programs for children and teens. Each day, Holy Cross Center provides services for an average of 141 women and 19 children. In a typical month, the center provides more than 3,000 articles of clothing, diapers for 227 children, 557 showers, and 239 loads of laundry! ​Thanks to your generous support, your Parish Outreach committee provides St. Agnes Holy Cross Center with annual assistance for this important work. Please continue to pray for those suffering from domestic violence and emotional abuse. When a child is hospitalized, the love and support of the family is as powerful as the strongest medicine. Ronald McDonald House at Valley Children's Hospital was built with the simple idea that nothing else should matter when a family is focused on the health of their child - not where they can afford to stay, where they will get their next meal or where they will lay their head at night to rest. There are 18 guest rooms that are used each and every night of the year at 100% capacity. Through the generous donations of Holy Spirit parishioners, your Parish Outreach Committee provides monthly support to help cover the cost for these overnight stays and ease the emotional and financial burden on the families. Please continue to pray for those in need and thank you for your continued generosity. Thank you to all parishioners for your generous support throughout the year. In the spirit of Mathew 25, your donations have helped many organizations fulfill their mission of service to those in need. 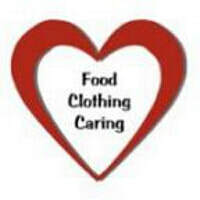 All this in addition to our ongoing assistance with food, rent, utilities, etc., to the individuals who reach out to us. Please keep those less fortunate in your thoughts and prayers and thank you once again for your continued support! The all-volunteer non-profit, Wings Advocacy Fresno serves the homeless by providing gently used furnishings and new mattresses and pillows to families, veterans and individuals who are moving off the street – including women and children from the Marjaree Mason center who are escaping domestic violence. Each family also receives a “Welcome Home Basket” – a laundry basket filled with new cleaning and hygiene products. Wings has served over 600 people in just 18 months! Wings, founded in 2014, was created by the Fresno Diocese Bishops’ Committee on Homelessness. Your Parish Outreach Committee recently made a donation to Wings Advocacy Fresno and we thank you for your continued generous support of those in need throughout our community. Holy Spirit Catholic Church is a proud member of the ICSC.